Our current exhibition at The Lightbox is drawn from The Ingram Collection’s Young Contemporary Talent collection, and celebrates the thought-provoking sculpture, painting, film and installation currently being produced by established and emerging young artists in the UK. The exhibition focuses on large-scale art work across various media to create an immersive gallery experience. 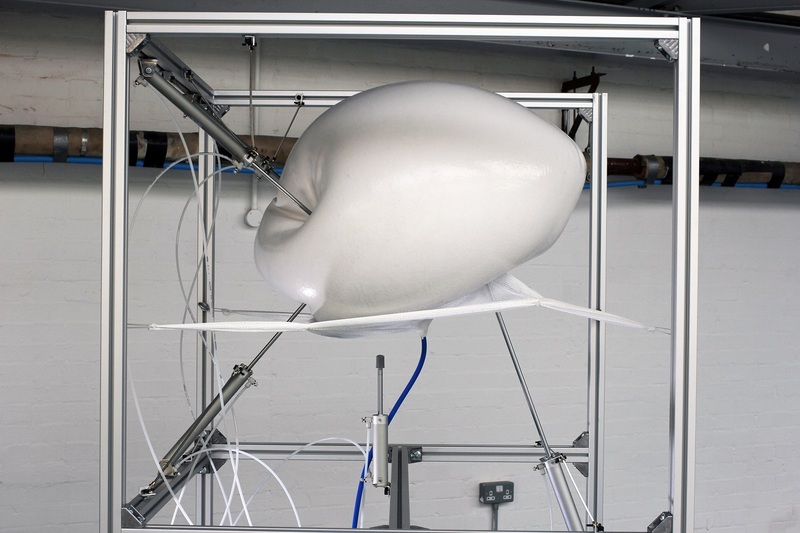 Since 2016 The Ingram Collection has held a Purchase Prize exhibition for recent art school graduates, and this exhibition highlights the work of some recent winners (*), including Harrison Pearce’s kinetic sound installation Interview (prototype) (2017). Haroon Mirza was one of the first contemporary artists purchased by The Ingram Collection, and he has won international acclaim for his installations exploring sound, light and electricity. Canon Remix (2006) was his first sculptural assemblage to work with sound.